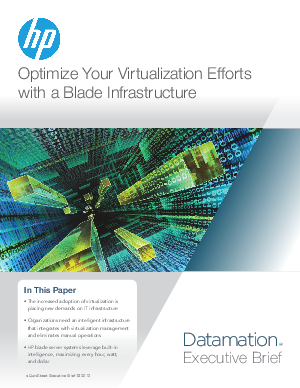 Virtualization was supposed to be the disruptive technology that saved IT. The cost savings from consolidation and the ease at which applications can be deployed promised to vastly improve delivery of IT services, free up IT staff to work on other projects, and not strain budgets. Unfortunately, lack of insight into IT resource status in highly virtualized environments and the complexity of the interactions between server, storage, and network elements have added to IT staff manual workloads and led most companies to dedicate too much time to operations and not enough time to innovation. This basically negates the major benefits of virtualization.